Fred Ende is the assistant director of curriculum and instructional services for Putnam Northern Westchester BOCES, one of New York's 37 regional education service agencies. In this role, Fred assists districts in the metropolitan New York City area with curriculum and professional development, design, and evaluation, and he also serves as a regional liaison with the state education department. Prior to his work at BOCES, Fred taught middle school science and served as a department chair for 10 years in Chappaqua, a suburb of New York City. Fred is an ASCD Emerging Leader and currently serves as New York ASCD's vice president. 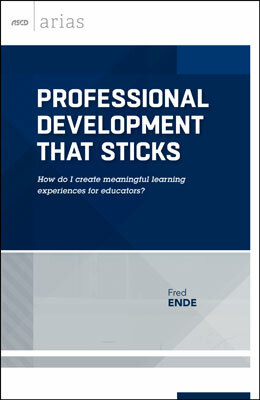 Fred is passionate about designing professional development that leads to deep learning and believes in the importance of collaboration across school, district, and regional lines to design learning opportunities that are truly sticky. Fred can be reached at fende@pnwboces.org and on Twitter at @fredende. Copyright © 2016 by ASCD. All rights reserved. No part of this publication—including the drawings, graphs, illustrations, or chapters, except for brief quotations in critical reviews or articles—may be reproduced or transmitted in any form or by any means, electronic or mechanical, including photocopy, recording, or any information storage and retrieval system, without permission from ASCD.